I remember the first time I had a blooming onion, it was love at first sight. I’ve always been a big fan of onions, but crispy and crunchy onion strips in the shape of a lotus flower? 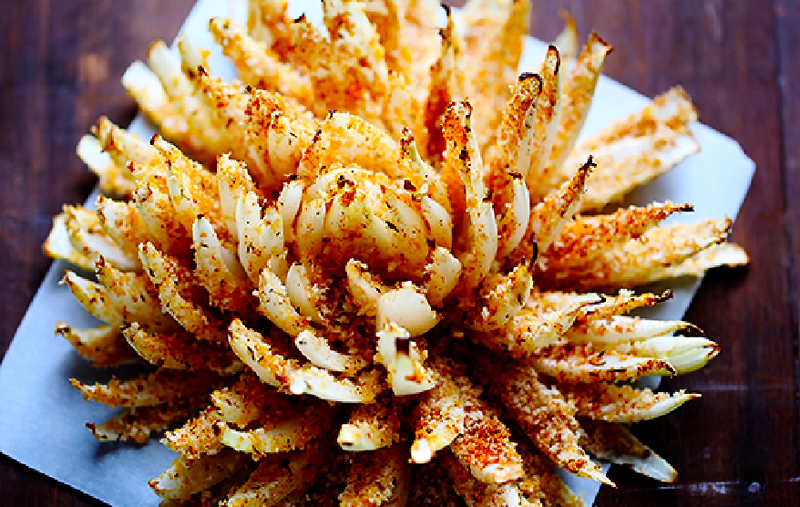 Ah, I’m in L O V E.
This baked blooming onion recipe only requires an onion, 2 eggs, some panko and seasoning. Impress your friends this Superbowl Sunday with this fancy looking crowd-pleaser snack. Oh, did I mention onions are high in trace mineral chromium that facilitates insulin action and controls blood sugar levels? For the full recipe, visit www.gimmesomeoven.com/baked-blooming-onion.